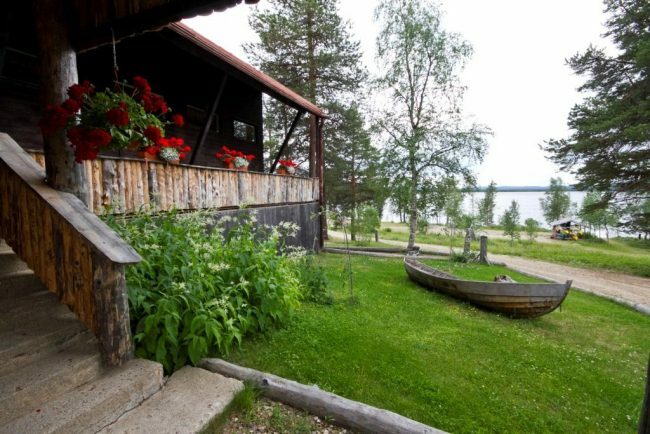 Hotel Korpikartano, a former village school, is located on the banks of the tranquil wilderness lake of Menesjärvi, close to the Lemmenjoki National Park, 32 kilometres from Inari. On offer are pleasant hotel rooms, apartments, a charter restaurant, a Lappish kota restaurant for 50 diners, several saunas, hot tub, and an interesting range of activities; e.g. 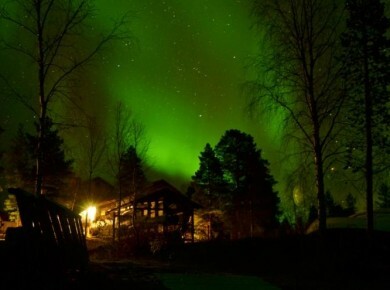 guided Northern Lights programmes, husky safaris, and experiencing a day in the life of a reindeer herder. Hotel Korpikartano is located along the road running between Inari and Kittilä. 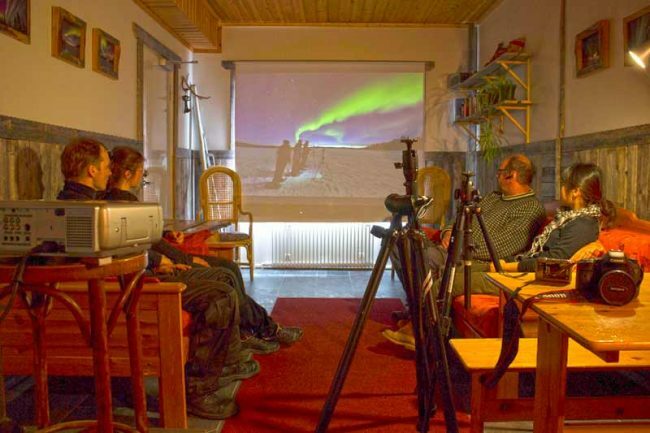 Led by an Aurora photographer, enjoy a pre-tour workshop to learn how to capture the Aurora on your own camera. You’ll learn all about the Northern Lights and how to use the settings on your camera to best effect, duration 1 hr. The workshop normally takes place during the first afternoon or before an aurora hunting evening. Tripods available for guests’ free use. We also rent fish eye lenses for Canon and Nikon.